You are here: Home / Beauty / Murale FAB and FREE by Shoppers Drug Mart: Get a Fresh Spring Look and Score A FREE Cosmetics Bag Worth Over $385! Spring is right around the corner and it’s a time to start anew and definitely a place for fresh beginnings. That means you can start by refreshing your current look and taking advantage of Murale by Shoppers Drug Mart’s amazing promotions that begin on March 1st until March 7th in stores and until March 12th online! Many of you know about Murale by Shoppers Drug Mart and all of the fabulous deals they share. You can bet that whenever Murale is involved, you will find your favourite products and you will get an amazing deal. Murale by Shoppers Drug Mart is Canada’s beauty destination, offering a shopping experience unlike any other in the world. Murale provides access to the world’s best beauty brands and enhances the shopping experience with an elevated level of expertise and personalized service. As unique as you are, Murale knows you are one of a kind. Some brands that are EXCLUSIVE to Murale are Eve Lom, Rodial, Darphin, Juice Beauty, Skyn Iceland, Monteil. How does a FREE cosmetics bag filled with over $385 worth of gorgeous goodies to refresh your current look sound? From Deluxe skin care samples to exclusive cosmetics, bold new nail colours and more, you’re guaranteed to start the season off looking renewed, fabulous, and perfectly gorgeous. One thing though, you are going to have to act fast if you want to get in on all of this fabulousness because as with most amazing things, it’s while supplies last and you know when it’s a great deal, they don’t last long. So, get ready to shop! There are 4 BIG reasons why I definitely want in on this deal. Why? Well, because 3 of my favorite products that I’ve used and adore the fourth reason would be for all of the amazing products I am aching to try. 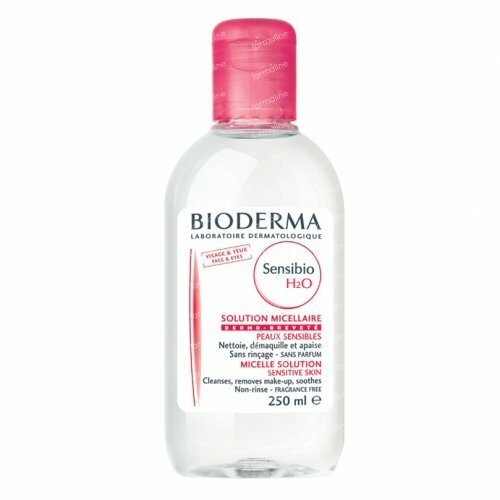 The Bioderma Sinsibio H20 is one of my favorites because of my sensitive skin, I use it to cleanse my skin and it is sensitive enough that it doesn’t dry it out. It also goes on smooth and I don’t have to tug at my skin to get the make-up off–because we all know that tugging causes wrinkles and no one wants those! It is a youth activating serum and to be quite honest, after I hit the big 3-0, I’ve been looking into more products that can help to slow the clock of time. I found that this serum makes my skin soft, helps with any fine lines and promotes firmness and makes me feel like I am glowing. It especially helps to freshen up my eyes and brighten up those dark circles. 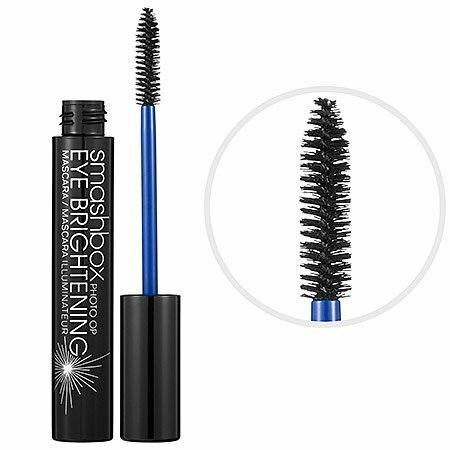 With Smashbox’s Photo Op Brightening mascara, you are sure to turn a few heads. This is perfect to try out for a new look, simply because the long-wearing formula of micas, titanium, and blue pigments makes the whites of your eyes pop. While Blue Prism Technology brightens for an open-eye effect. The innovative brush lifts every lash for a smudge-resistant, flake-proof finish. It will truly make your new look pop and they do say the eyes are the window to the soul, right? There are TWO options that you can choose from and take advantage of the FAB and FREE deals! Both are as equally awesome and both come with major swag. Score a free cosmetics bag with 27 deluxe samples worth over $385 when you spend $100 or more*. Each Fab & Free tote will include a booklet with product information about each deluxe sample. The booklet will also include an Optimum bounce back offer (full details below). Note to my fellow fabulous beauty lovers: *This offer is valid on the purchase total of eligible products after discounts and redemptions and before taxes. Gift value approximately $385. Available while quantities last. No Rainchecks. Rack up 20, 000 Optimum Points when you spend $125 or more before tax at Murale on our featured regular sized Fab & Free products. Available in-store only, my lovelies. Offer is good if you come back from March 8th to April 4th, 2014 and spend $125 or more (before tax) which includes a product that was featured in the Fab & Free booklet. So, let’s all dream of warmer days together and get our skin prepped and looking sun-kissed for the upcoming Spring and Summer seasons. Not to mention, trying that new shade of lip gloss or that eye-opening mascara can do wonders. All Murale stores are participating in the event that includes Murale.ca so that you can shop online! You can check out the list of all of the participating locations, here. How do you plan on refreshing your look for Spring? Note: Although this post has been generously sponsored by Shoppers Drug Mart, the opinions and language are all my own and in no way do they reflect Shoppers Drug Mart. This is such a good deal! I wouldn't know what to do with all that makeup, but it would be fun to do a shop with one of my girlfriends! I really need to update my beauty routine with spring here! What a great deal! I love great deals on make up! I love getting makeup samples and what an awesome giveaway. I find my skin is very dry and sick of winter right now, so this deal is perfect to get ready for spring! Great way to try new products with the sample sizes! My recent post Get Your Beauty Routine Ready for Spring! Oh, me too! 🙂 Bring on Spring and awesome deals. I need new beauty products! That is such an awesome deal! OMG I love when samples are included!!! I love discovering new items that way. Looks like a great buy! I haven't bought new makeup since last summer! It's definitely time to do some shopping! My recent post Suggest a New Potato Chip Flavor in the Lays Do Us a Flavor Contest! I love great deals on beauty products. I am in need of some new makeup! Me too, in with the new out with the old. Those all look great. For spring I always usually get a new do and try to lighten up the makeup. Wow, that really is a Fab freebie! I could easily spend $100 on beauty products. I'm totally addicted to them! Me too, I just grab and go! I could seriously use some new makeup products. I really love that mascara! That is a great deal! Time to go shopping! I have never heard of Murale before. That sample bag looks like a great deal. The cosmetic bag sure is a great deal, check them out! You will definitely find something for you! I totally want to try that eye brightening mascara. awesome deal!! my niece is getting married this year, I could use the samples for game prizes! I'm really loving the serums now too. I find my skin is super thirsty these days! Do they have this in the states? Sounds great! I am not quite sure. 🙂 I will find out for you. 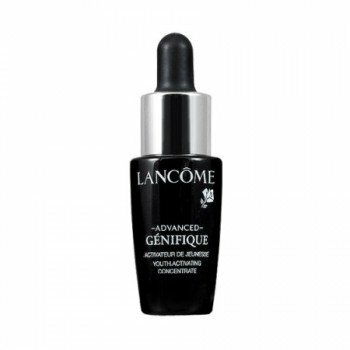 I recently started using Lancome products and they are very high quality. I've never tried Smashbox but have heard great things about it. Those are terrific offers! I love trying new beauty products. These look like some great products! That is a seriously awesome and high value giveaway. I think so, you cannot go wrong with $385 in products. What a great offer! And there are so many things to try! I do love that makeup remover too! It's the perfect time to try new things! Spring calls for new things, that is for sure. That's totally a great day! Thanks so much for sharing about it! Wow! $385 worth of products for free; that is an awesome way to attract new customers! What an awesome deal! That is the perfect way to draw in new customers! These sounds great, I have heard great things about Lancome products. I love their mascara, I am obsessed. Great beauty products! Thanks for sharing!!! Those are some great brands that are exclusive to Murale. I love Skyn Iceland and Juice Beauty is pretty great, too. I wish they had this in the States! Awww, I wish they did too. What a fabulous deal! Getting one of these bonuses with all the samples would be a great way to freshen for the spring!